One of the most eco-friendly ways to travel is cycling. 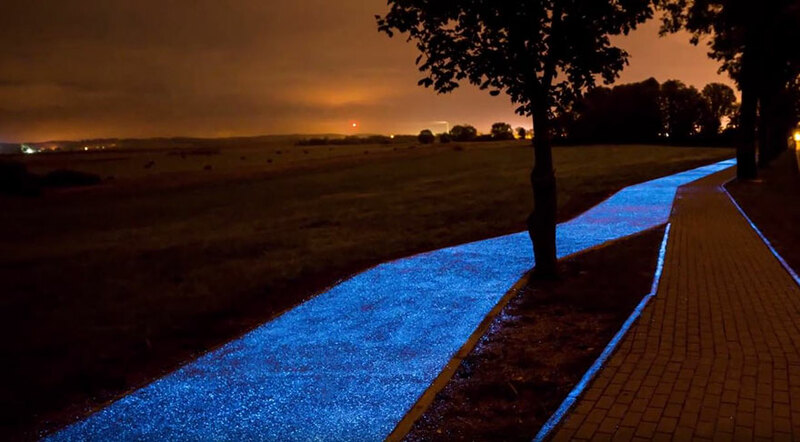 It just became even easier with this solar-powered bike lane that glows in the dark. 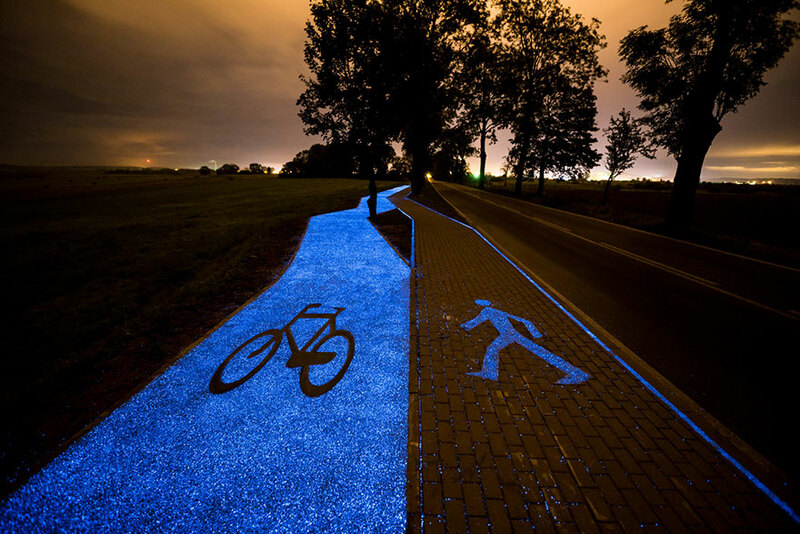 Lidzbark Warminski in the north of Poland is home to this bright blue cycling strip. 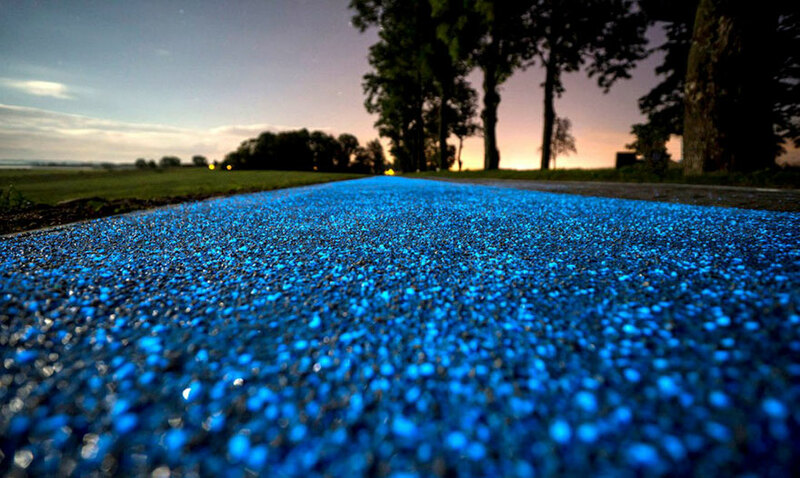 It was created by TPA Instytut Badań Technicznych and is made from a synthetic material and can give off light for up to ten hours. 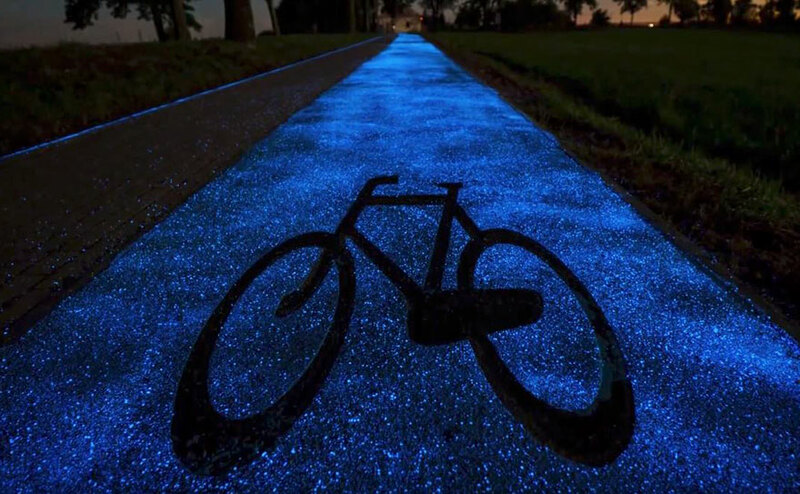 The concept was inspired by Studio Roosegaarde’s Starry Night bike lane in the Netherlands, but the technology is quite different. The Dutch version uses LEDs whereas this one is entirely dependent upon solar power. We can only hope other countries follow suit in the very near future.